twitter 01 Sep “Small Functions considered Harmful” - couldn't agree more to the gist of this post. An article, posted more than 3 years ago filed in elasticsearch, rails, search, linux, server, development, ruby, gem, tech & programming. In a previous post I described how simple integrating elasticsearch is with Rails for beginners. You could've been happy with the fact that you now have implemented full text search, but that too basic set up probably doesn't work that much better than adding a column to your model, throwing in all text in it and running a LIKE query (although elasticsearch does try to rearrange the results a bit). In this post I will learn you two things that makes elasticsearch worth it. Analyzers add some fuzziness to your searches. First, make sure your analyzer is in the right language, this will improve your results. You add the following bit to your model (I typically place it just below where the scopes and validation are defined). I don't like complexity. Adding new items to your stack increases complexity. But sometimes it is worth it. When you need proper search and filtering, elasticsearch is worth it. Mostly because it isn't hard to set up at all, as you'll learn in this post. If you're not using something like Docker, you probably have to repeat the steps on your dev machine, your staging server and your production environment. An article, posted more than 6 years ago filed in test, programming, fail, software, structure, testen, computer, little britain, computer says no, controle & unittesting. Al weer 7 jaar geleden liet Robert Dijkgraaf in Zomergasten zien hoe alles weer uit van alles bestaat. Kleine onderdelen die samen weer grotere gehelen vormen die samen weer nog grotere gehelen vormen en zo verder, en terug. Hij illustreerde dit aan de hand van een alweer 30 jaar oud filmpje: powers of 10. Op hun eigen schaal lijken alle onderdelen waaruit iets bestaat weer mooie afgeronde dingen. En op een afstand lijken al deze onderdelen ook nog eens perfect samen te hangen. 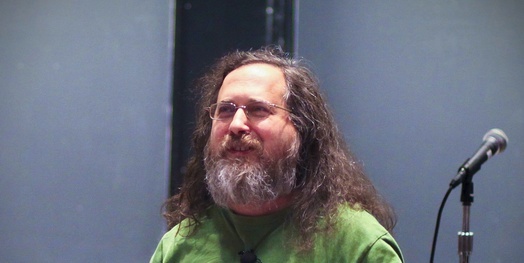 An article, posted more than 7 years ago filed in business, programming, software, freedom, legal, richard stallman, mit, open-source, gpl, creative commons, license, lgpl & licenses. When you are in the business of creating software you'll have to know that not all software and business models allow for what you've probably done before you were making money in this field, basically copy & pasting & reusing software from all over the web. When you're working professionally you might be confronted with the fact that not all open-source libraries are as free, as in libre (or as in anarchy) as you would like them to be. An article, posted more than 8 years ago filed in programming, hacking, agile, fast, quick, dirty, release, development, bazaar & cathedral. delicious 14 Oct ´08 JSF Best Practices « Nothing is Rocket Science! An article, posted more than 10 years ago filed in web, design, work, frameworks, java, jsf, programming, stateful & stateless.